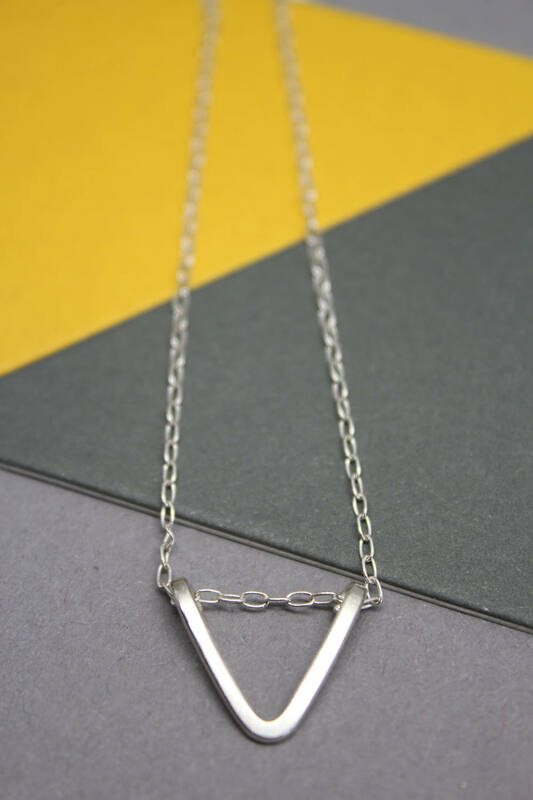 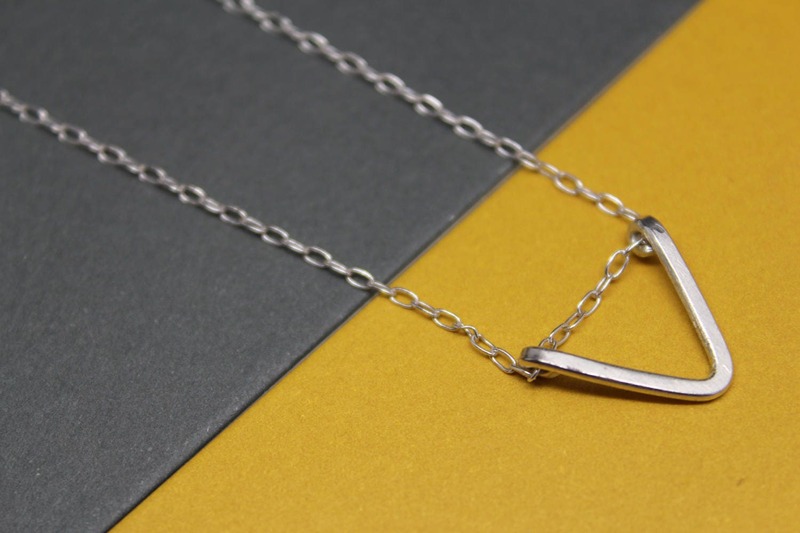 This necklace is made from sterling silver wire which has been shaped into a small triangle, rolled through a rolling mill to flatten the silver and attached to an 18" sterling silver trace chain. 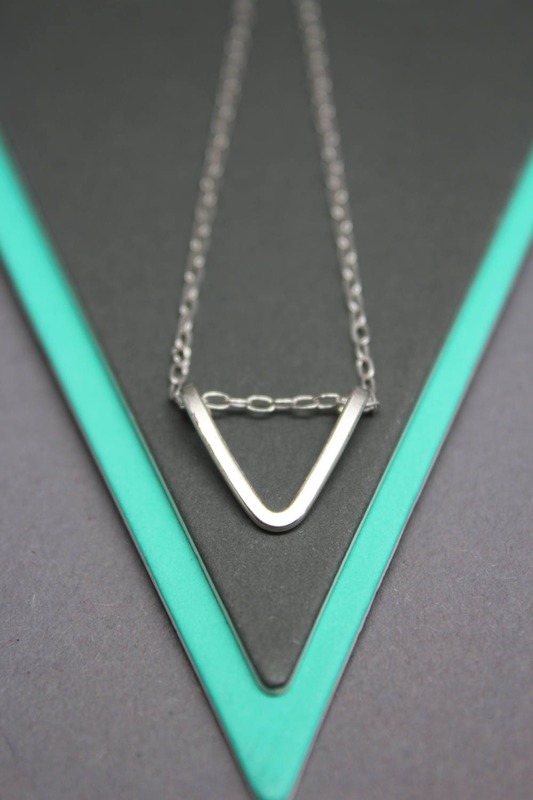 The triangle measures approximately 13mm across. 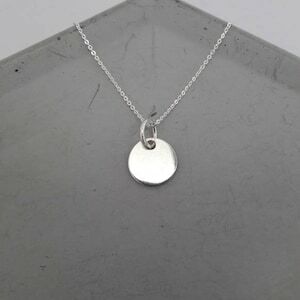 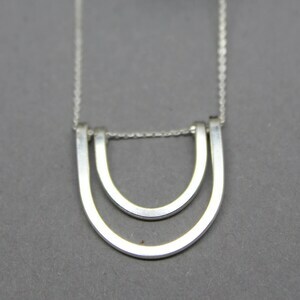 Looks great worn alone or layered with other necklaces and is simple enough to wear everyday. 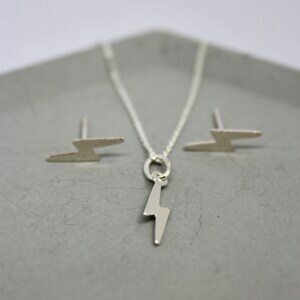 Please note that all my pieces are handcrafted and unique and as such, may vary slightly from the actual necklace photographed. 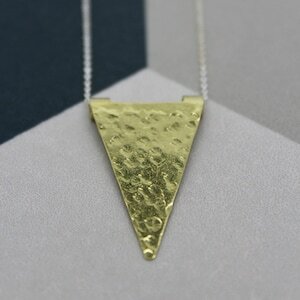 I also have matching triangle earrings available in my shop. 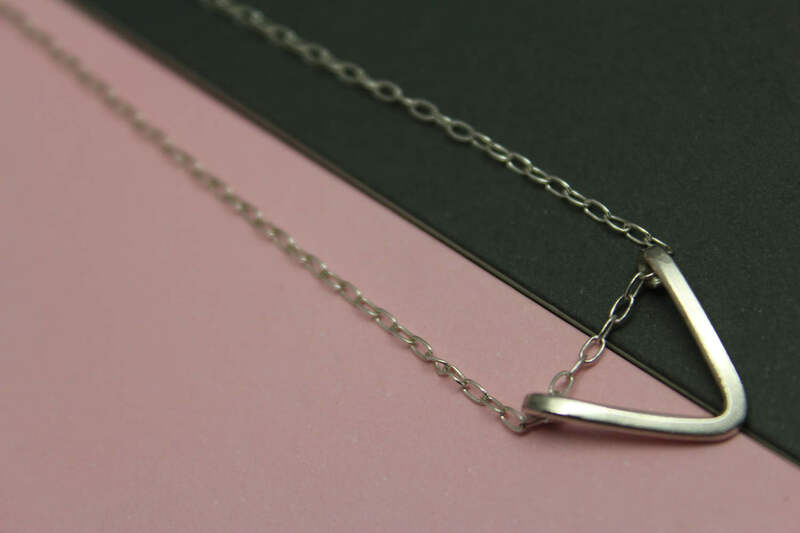 All items come in a gift box and are perfect for gift-giving.